Preface; Preface to the second edition; Acknowledgments; 1. Narrative and life; 2. Defining narrative; 3. The borders of narrative; 4. The rhetoric of narrative; 5. Closure; 6. Narration; 7. Interpreting narrative; 8. Three ways to interpret narrative; 9. Adaptation across media; 10. Character and self in narrative; 11. Narrative and truth; 12. Narrative worlds; 13. Narrative contestation; 14. 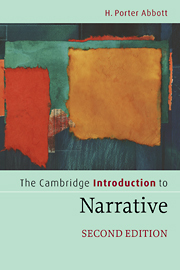 Narrative negotiation; Bibliography; Glossary and topical index; Index of authors and narratives.